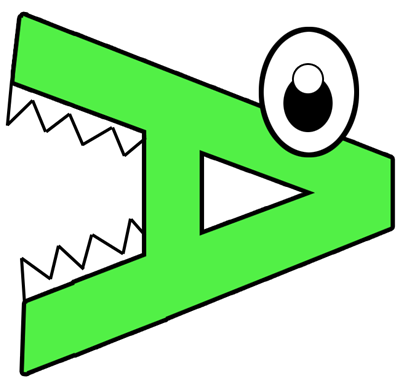 Learn how to make an alligator out of a Capital Letter 'A' with the following arts and crafts project for preschoolers and Kindergarteners. This is a great way to learn all about the Letter A and how to use it to spell words, such as 'Alligators'. 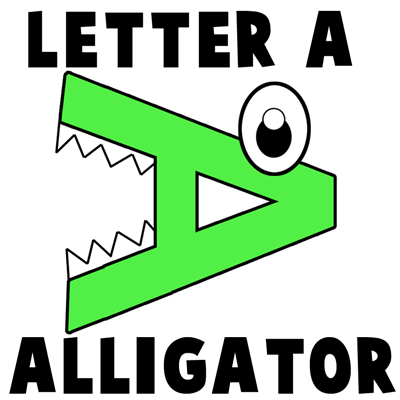 Today we will show you how to make this alligator out of a Paper Letter 'A' and some other cut-out pieces of paper. 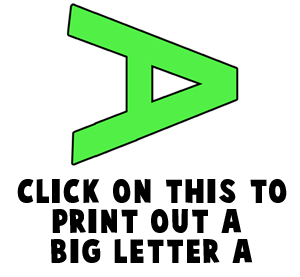 Click on the above picture to open up a new page and print out the Letter 'A'. 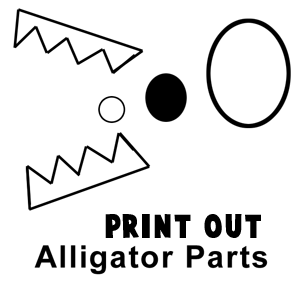 Cut out the letter 'A', teeth, and eye parts. Glue the parts to the Letter 'A' as you see above. This above picture is what the Alligator will look like when it is finished.